Highly Bioavailable Magnesium with Vitamin B6 Supports healthy cardiovascular, musculoskeletal, endocrine, neurological, and metabolic function. Magnesium fumarate is a fully-reacted, organic bound magnesium salt known to have good bioavailability. Pyridoxine hydrochloride is added as a source of vitamin B6 which appears to enhance the absorption of magnesium into the cells. Magnesium deficiency is common in today's society, as many individuals do not consume the recommended daily intake of magnesium from food. With the benefits that come from adequate intake, magnesium supplementation may be a worthwhile consideration for individuals dealing with high levels of stress and many related concerns. 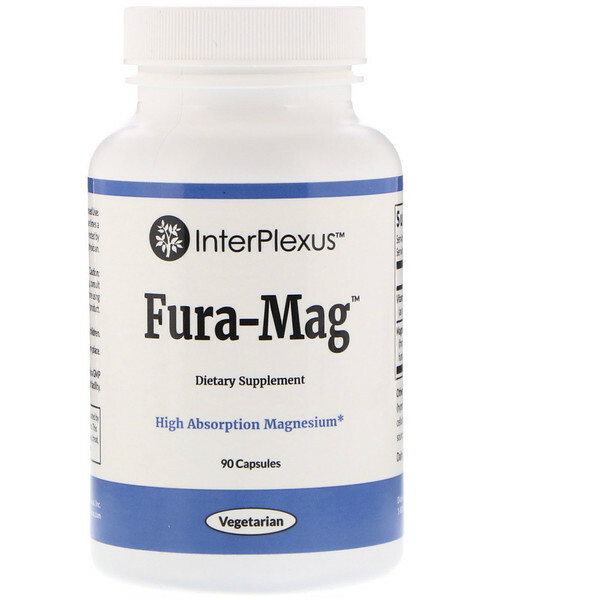 Fura-Mag is formulated with bioavailable magnesium and vitamin B6 for cardiovascular, musculoskeletal, endocrine, neurological, and metabolic support. Magnesium plays many crucial roles in human physiology. Magnesium is involved in hundreds of enzymatic processes in the body that in turn influence the function of numerous body systems and metabolic pathways. 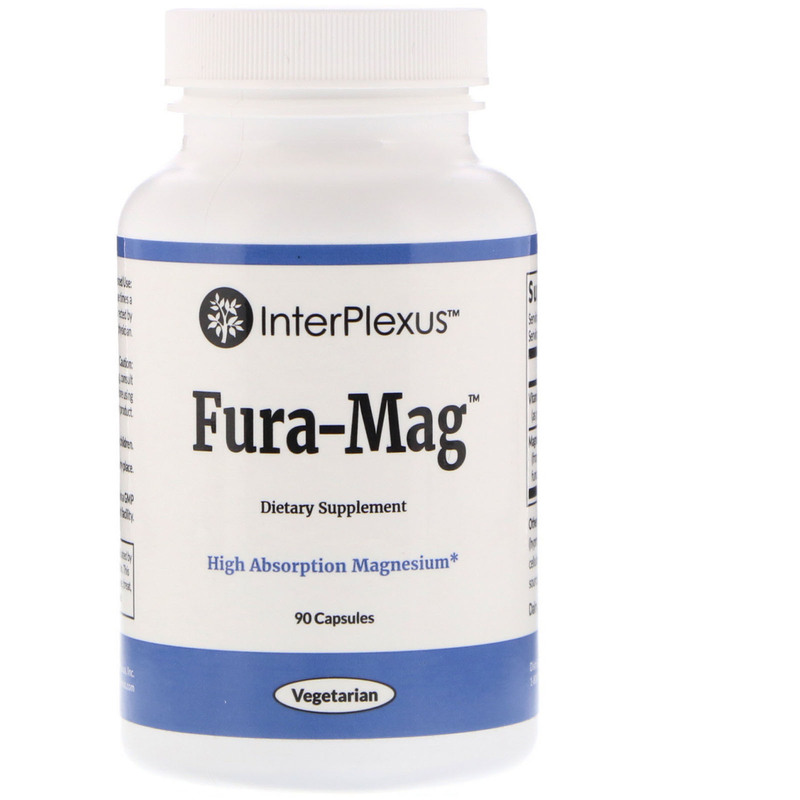 Magnesium supports cardiovascular function. It acts as a natural calcium channel blocker and a cofactor for maintaining cell membrane potential, which is crucial for establishing a steady, regular heartbeat. Magnesium also appears to decrease the vascular and endothelial inflammation involved in atherosclerosis and hypertension. Low magnesium levels appear to induce an inflammatory state in general which can have detrimental effects on the body. Magnesium influences electrolyte levels inside cells by moderating cell membrane transport and cell-substrate adherence. Acting as a counterbalance to calcium, magnesium encourages muscle relaxation by increasing reuptake of calcium after muscle contraction. Magnesium is also a structural nutrient that maintains the health of bones and teeth. Around 60% of magnesium is stored in bone with most of the remainder in the skeletal muscle and soft tissues. Depleted magnesium levels and the resulting chronic inflammation are known to increase bone loss, whereas magnesium supplementation has been shown to reduce bone loss. Studies also show that stress and magnesium are linked: increased stress causes urinary loss of magnesium, and elevated catecholamine concentrations have been shown to lower serum magnesium levels. In addition, low magnesium levels can worsen the overall cumulative negative effects of the stress response. Magnesium supplementation has been shown to lower cortisol levels while improving swimming and running times in competitive triathletes. In situations of chronic stress, increased intake of magnesium may be required to maintain adequate magnesium stores. Magnesium is also necessary for normal neurological function and neurotransmitter release, and the links between magnesium status and mental health are documented by research. Magnesium deficient diets in animals are known to correlate with depressive and anxiogenic behaviors. Low magnesium status also appears to have a correlation with depression in humans, although more research is needed to fully confirm the link. Increased magnesium intake also has been shown to decrease neuronal overexcitation and improve reasoning coherence. Blood sugar and insulin problems are also correlated with low magnesium. Research shows that diabetic patients are commonly deficient in magnesium, and low magnesium levels are correlated with insulin resistance as well. Diabetes is more common in people with low magnesium intake, and complications of diabetes are more prevalent in diabetics with low magnesium levels.20 Magnesium supplementation may help to stabilize blood sugar, restore insulin sensitivity, and normalize insulin-induced changes in cortisol output. 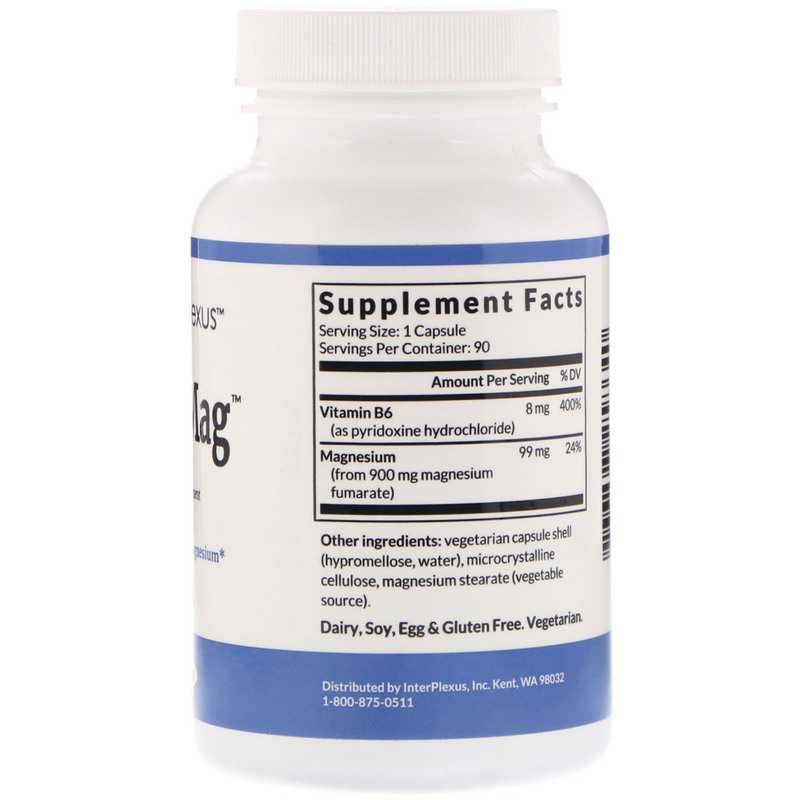 Vitamin B6 appears to facilitate absorption of magnesium into the cells. And some conditions appear to respond better to a combination of magnesium and vitamin B6, rather than to either supplement alone. Vitamin B6 has numerous activities in the body helping in over 100 enzymatic reactions. Research has shown that vitamin B6 may reduce the incidence of heart disease. In addition, it appears that B6 has anti-inflammatory benefits as well, which could explain some of the benefits seen with B6 in carpal tunnel syndrome. Take 1 capsule two to three times a day with a meal or as directed by your physician. Vegetarian capsule shell (hypromellose water), microcrystalline cellulose, magnesium stearate (vegetable source).